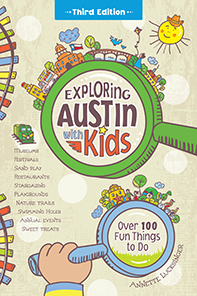 Contained within the bounds of Zilker Park, there are over a dozen family-friendly things to do! To make it easy to find them all, I created this handy dandy kid-centric map. You can download a copy of the map here , or send your name and address through the contact form and I'll mail you a glossy one to use this summer! 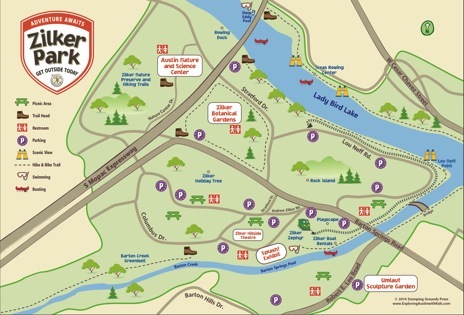 Read more about each place in the Zilker Park section of the guidebook or app!